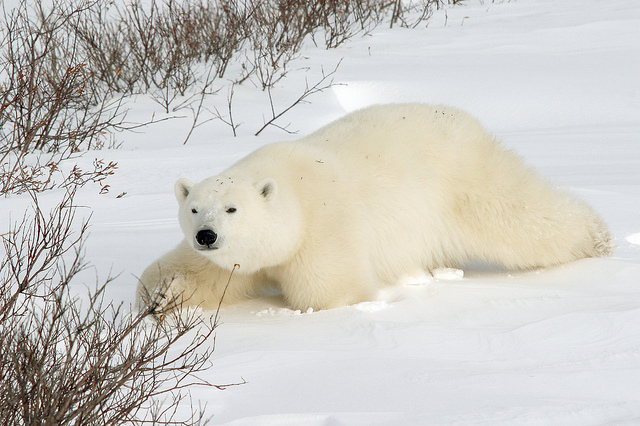 Churchill Polar Bear One-Day Adventure – The Great Canadian Travel Co.
Is seeing a polar bear on your wish list but you don’t have the time to do a multi-day trip? 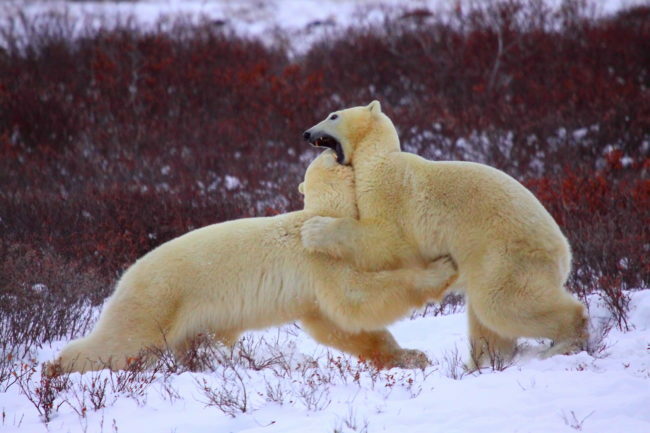 Take this one day adventure journey north to Churchill to see the famous bears! Prices are shown in CA$, per person. 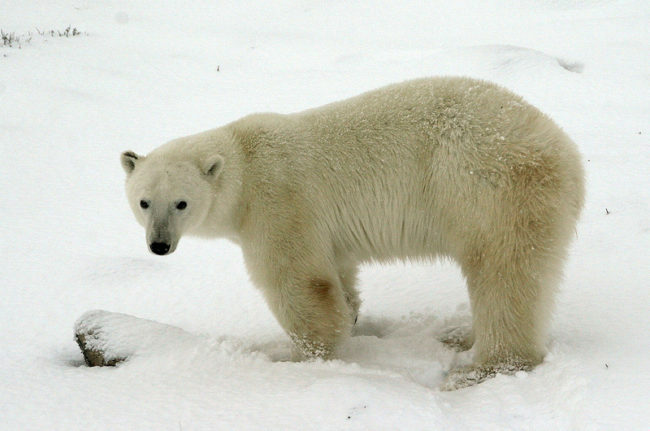 Begin your adventure with a private charter flight from Winnipeg to Churchill. 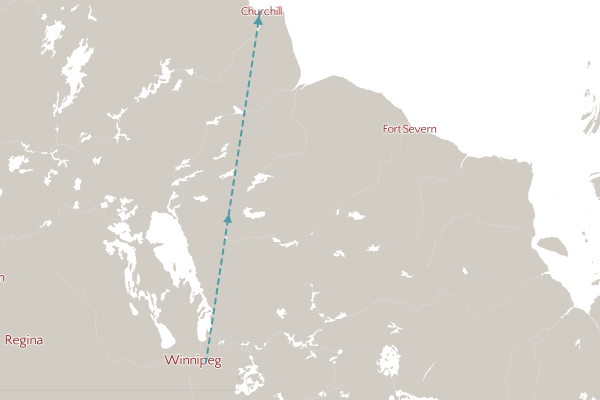 The 2 1/2 hour journey takes you over the changing landscapes of Manitoba, from prairie fields in the south, to boreal forests, over the tree-sparse taiga and finally to the vast tundra surrounding Churchill. On arrival to Churchill you will be transferred directly to the Tundra Buggy launch site. Here you will board your Tundra Buggy, a very unique vehicle, well heated, and washroom equipped. The Buggy’s over inflated tires allow unparalleled access onto the tundra for the full day of exploration in the Churchill Wildlife Management Area. 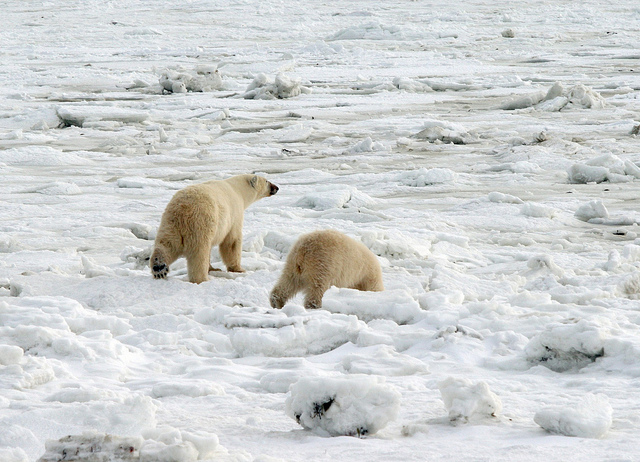 Conservation regulation restricts the routes these vehicles can follow in order to protect the fragile ecosystem of this sub-Arctic region. The knowledgeable Tundra Buggy driver/interpreter will make every effort to ensure you have the most favourable conditions to photograph the bears. A platform on the rear of the buggy allows passengers to get an unrestricted view of the bears. 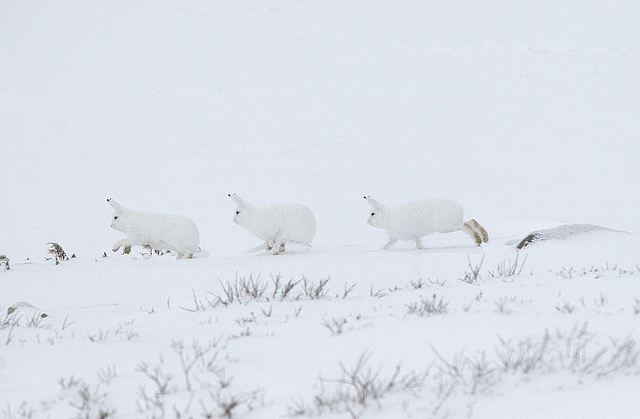 Exploration of the tundra also provides the opportunity to see other incredible subarctic wildlife such as the arctic fox, arctic hare, ptarmigan and snowy owls. A hearty picnic-style lunch will be served on board the Tundra Buggy. You return to Churchill in the late afternoon and transfer to the airport for the flight back south to Winnipeg, where the day of adventure ends. Dinner is served onboard the flight.